Opportunities to support large scale conservation efforts do not come along every day. 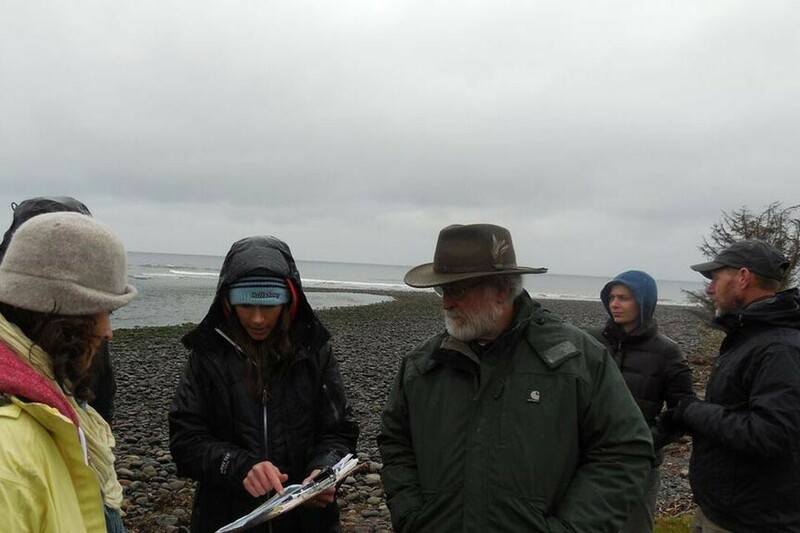 The North Olympic Land Trust, upon learning of a property along the Lyre River; added it to our work plan, seeing this property as a good fit for its organization and their conservation mission. Lead Entity Members visited this property where they were struck by its beauty and strong mix of environmental assets. 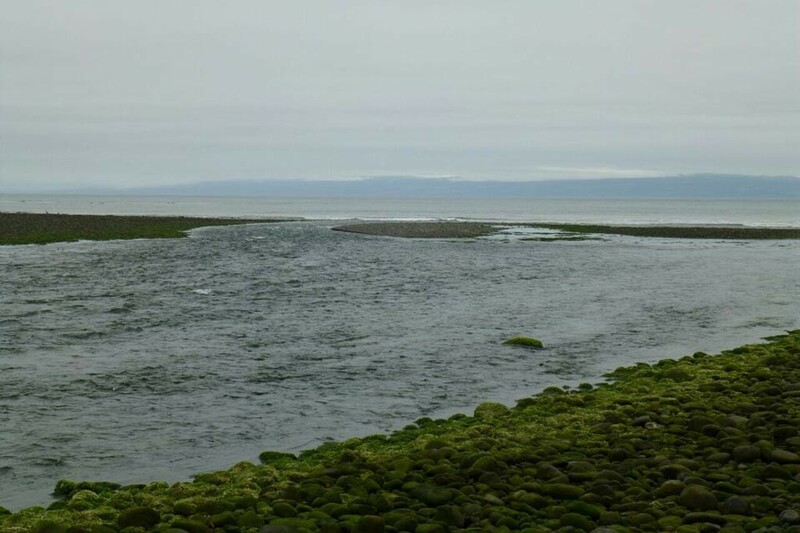 The Lyre is one of the few remaining Olympic Peninsula rivers with potential to maintain a protected corridor from its headwaters in the Olympic Mountains to the Strait of Juan de Fuca, which is a migratory corridor for salmon. The Lyre has one of the most abundant chum salmon populations in the Strait and is the only stream on the North Olympic Peninsula with late winter chum with a unique run timing. 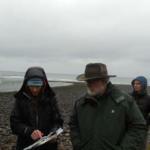 The North Olympic Land Trust then applied for 2013 grant funds. The Washington Department of Fish and Wildlife helped by providing copies of former grants applications and lent their support, as did both the Elwha Klallam and Makah Tribes. It was the first year that the Puget Sound Partnership created its Large Capital Grant competition. North Olympic Lead Entity submitted three large capital projects which were scored and ranked against almost 40 other projects throughout Puget Sound. 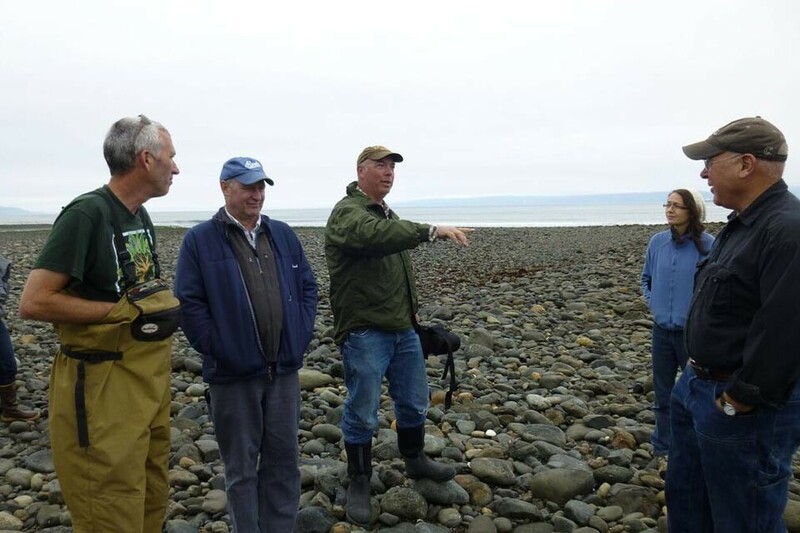 This Lyre Conservation project and another project to revegetate and restore Elwha River floodplains newly-freed after dam removal were selected to receive funding. North Olympic was one of only two lead entities in Puget Sound with two large capital projects apiece selected for funding. The Washington State Legislature dedicated significant resources to fund it under the Puget Sound Acquisition and Restoration program (PSAR) which the Puget Sound Partnership advocates for. 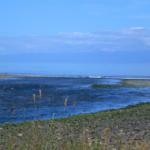 Additional funding to complete the land purchase came from Washington’s Marine Shoreline Protection grant administered by the Washington Recreation and Conservation Office and the state’s Estuary & Salmon Restoration Programs. The North Olympic Land Trust negotiated the sale with the willing landowner, who provided a generous donation which is helping cover future costs of stewarding this land. The Lyre project included removal of the former home where the Brooks family raised their children within a stone’s throw from the shoreline. It was important to the family that the property remain intact. Despite numerous offers from buyers which wanted to purchase only the coastline, the adult siblings honored their father’s hopes of keeping the property intact. 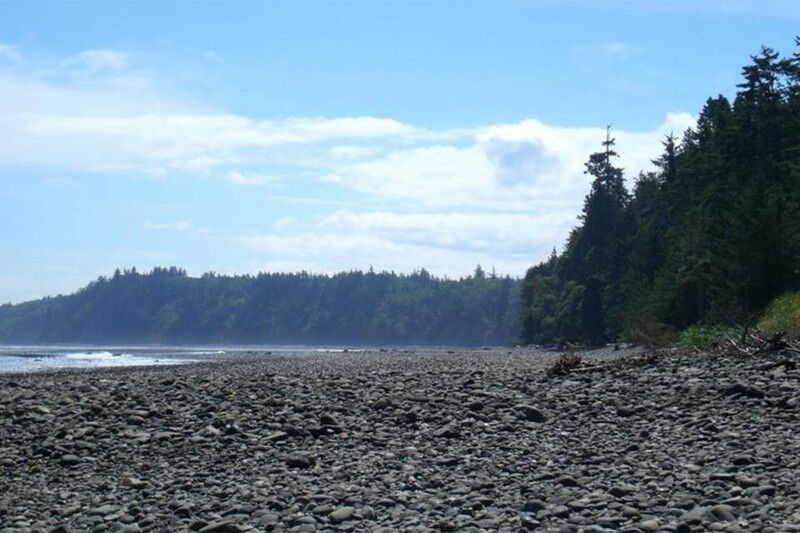 Both the Makah and Elwha Klallam Tribes partnered with the Land Trust, supporting the acquisition and restoration of this land. The Washington Conservation Corps helped with revegetation and Clallam County’s Noxious Weed Program has also removed weeds there. 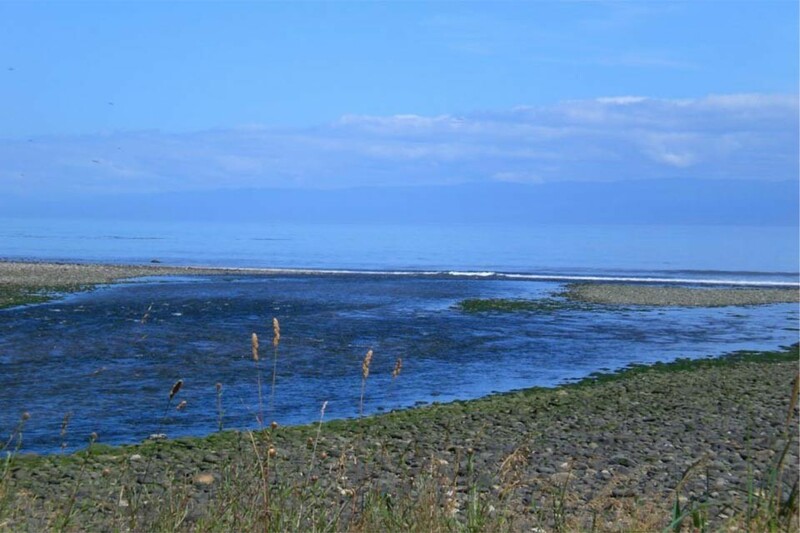 The stunning, 280 acre property just west of Joyce, Washington sits along the Strait of Juan de Fuca where the mouth of the Lyre River meets the sea. The area contains Nelson Creek, wetlands, second growth forest, meadow, eagle nests and more. 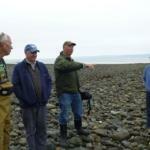 It is prime harbor seal habitat and not far from a gray whale feeding area. 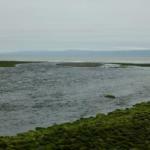 Coho, Chinook, chum and steelhead are found here. It is a gem of an ecosystem and by far the single, largest parcel the Land Trust has protected in its 27 year history. 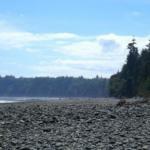 It is open to the public for day use recreation such as hiking, surfing, bird watching, beach picnics, etc. The Lead Entity continues to partner with the North Olympic Land Trust to support their continued stewardship and restoration of this unique area. The Lead Entity dedicated additional state grant funding to replace a small bridge there that was not strong enough to handle the weight of trucks removing materials from the demolished home. In the summer of 2017, the Lead Entity and the Land Trust are working on a grant application for funding to remove a small culvert blocking fish passage on the property and further noxious weed removal, which will set the stage for continued preservation and restoration of this special natural environment.